Darkness is and has been all around us since the beginning of time. The reign of Darkness has finally ended and the Beings of Light have now come forward with multiple messages about what we need to do and what we can expect for the balance of our journey on Earth. Darkness: Where Does It Come From? 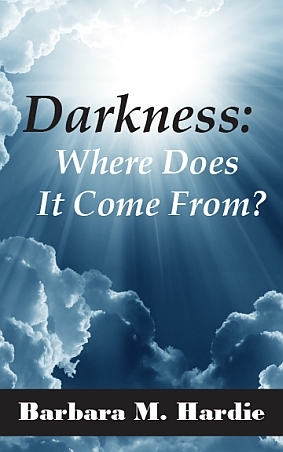 is a channeled book and includes messages of encouragement from many of the ascended Beings of Light as well as Robin Williams, John Lennon, Michael Jackson, Marilyn Monroe, Princess Diana, President John F. Kennedy, and his son John F. Kennedy, Jr.
Don’t let the title “Darkness: Where Does It Come From?” fool you. While it does bring some of the activities and plans of the Dark Ones to Light, there are more positive messages of Light from the Heavenly Helpers that are very encouraging regarding the reign of Darkness coming to an end.